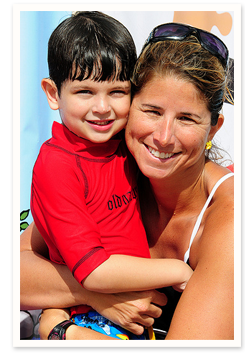 My name is Julie Gross and I have been teaching children to swim for over 23 years. I have been teaching children with autism to swim for the past several years and have worked with adapted aquatics at Plantation Central Park. 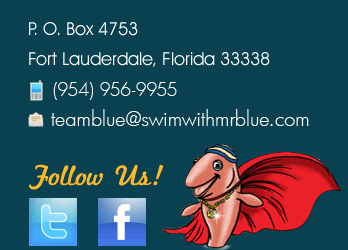 Teaching children with autism to swim has been the most rewarding and most amazing experience I have experienced as a swimming teacher and owner of Swim with Mr. Blue. I am so proud every time we teach a child with autism to learn to swim. There is no greater joy, than to know that a child with autism is safe around the water because they learned what to do in our program. This does not mean that we should not supervise children with autism around the water however it does mean that these children will have a much deeper appreciation for swim safety in areas that contain water. Once thought to be a rare disorder, autism is now believed to affect as many as 1 in every 70 children, according the American Academy of Pediatrics, making it the nation’s fastest-growing developmental disorder. Our mission here at Super Swimmers Foundation is to teach children with Autism to swim. We feel that by using the Swim with Mr. Blue program we can help hundreds and hopefully thousands of children with autism learn to swim both safely and successfully.